DAY 1 Arrival in Yerevan. Custom formalities. Meeting at the airport and transfer to the hotel. Check-in. Rest. 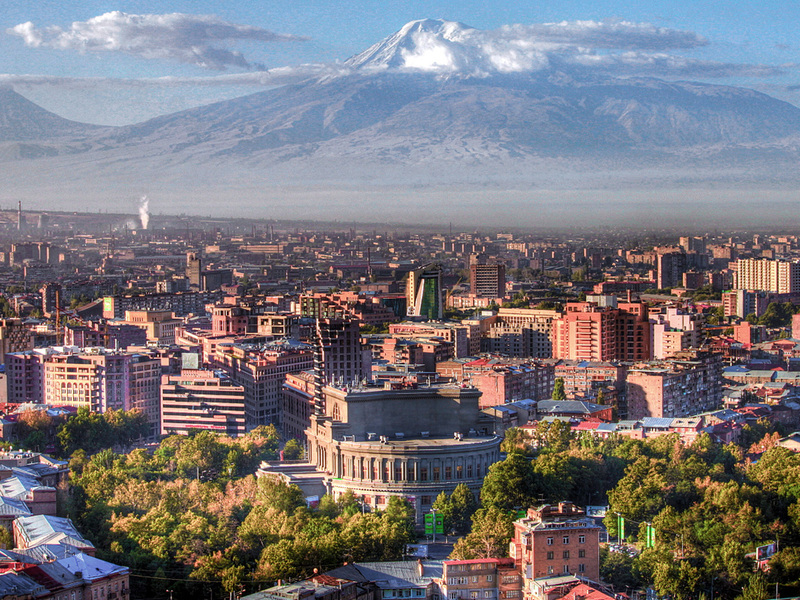 After breakfast full day sightseeing tour of Yerevan including the Republic Square, the Opera House, the Parliament, the Cascade as well as the monument ‘Mayr Hayastan’ (Mother Armenia) with a panoramic view of Yerevan and Mount Ararat. 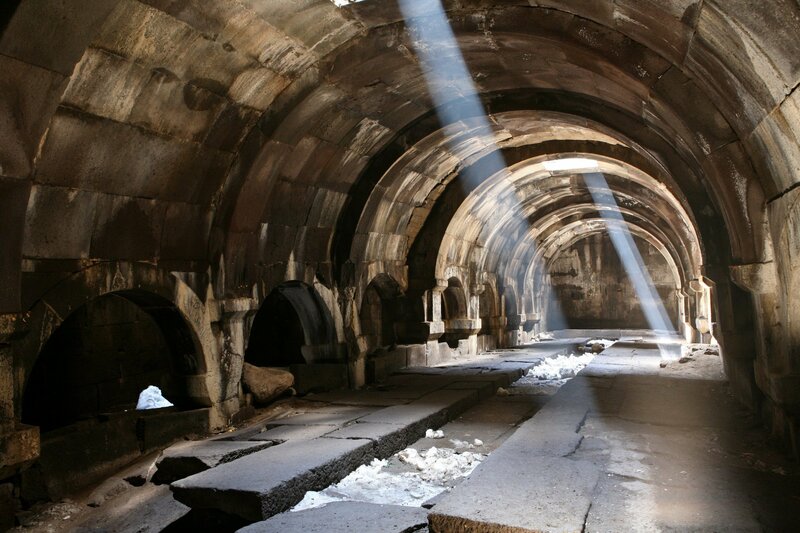 Visits to: Erebuni – archaelogical museum of ancient Yerevan and ruins of the fortress of Erebuni founded in 782 b.C. by the Urartian King Argishti I. Visit to Matenadaran – institute of ancient manuscripts. Lunch in a local restaurant. 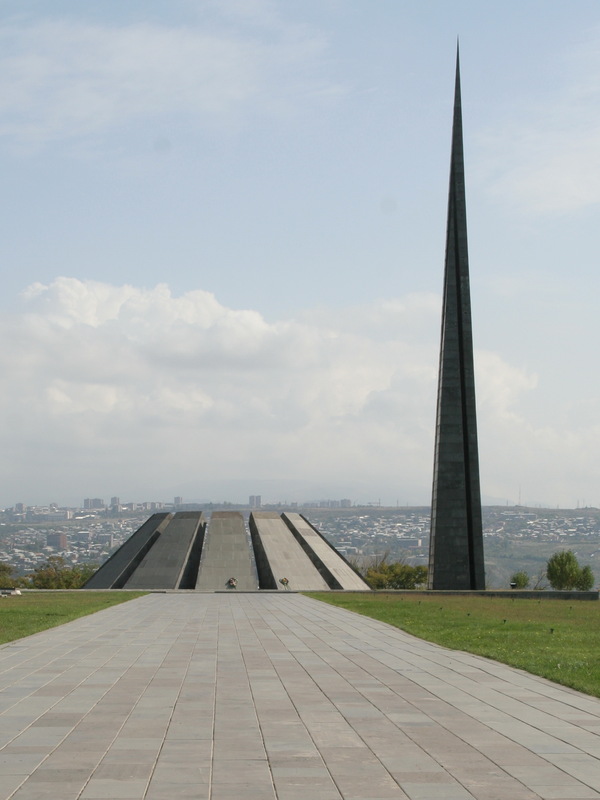 In the afternoon visit to Tsitsernakaberd – Memorial and Museum of the Armenian Genocide of 1915. Dinner in a city restaurant or in hotel. Overnight in Yerevan. Breakfast at hotel. 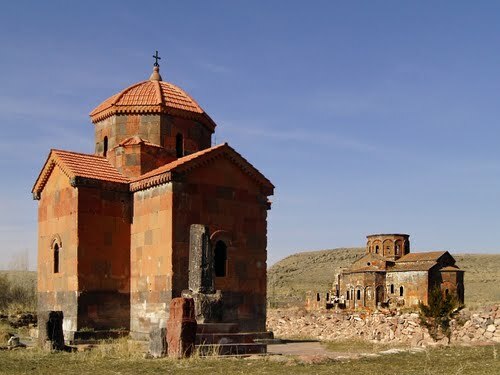 Departure for Ashtarak to visit the small gracious church of S. Astvatsatsin dating to 7th century known also with the name Karmravor thanks to the originally red tiles on the roof replaced with new ones recently. 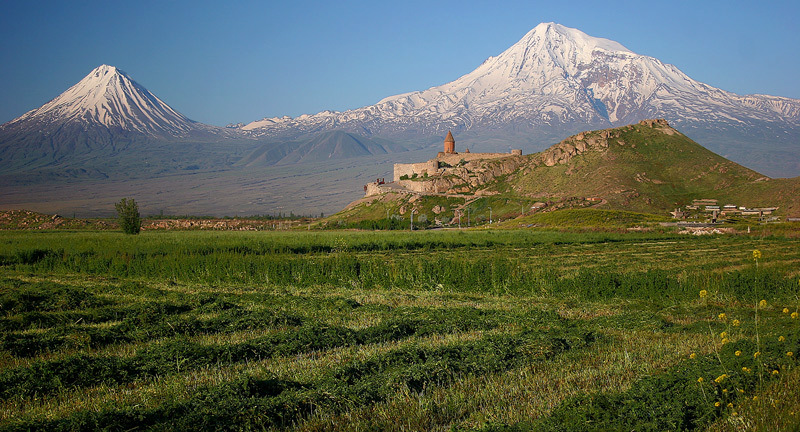 The tour then continues to the fortress of Amberd located at 2300m above sea-level on the southern slopes of Mount Aragats. Lunch in a restaurant. In the afternoon visit to 13th century monastic convents of Saghmossavank and Hovhannavank both located on the edge of deep Kasakh gorge with a breathtaking view over the canyon. Return to Yerevan. Dinner and overnight in Yerevan. After breakfast departure for Echmiadzin – the holy seat of the Supreme Patriarch – Catholicos of all Armenians. 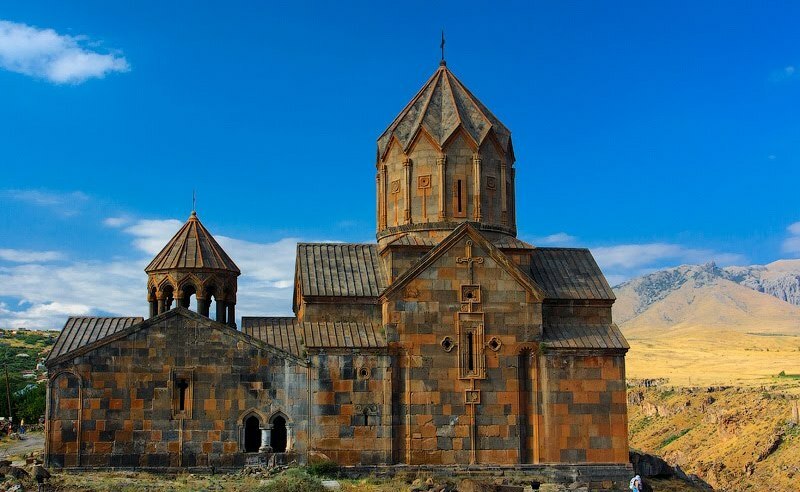 Armenia was the first country to adopt Christianity as a state religion in 301 AD. The Cathedral was built in 303 on the site of a pagan temple after the adoption of Christianity. 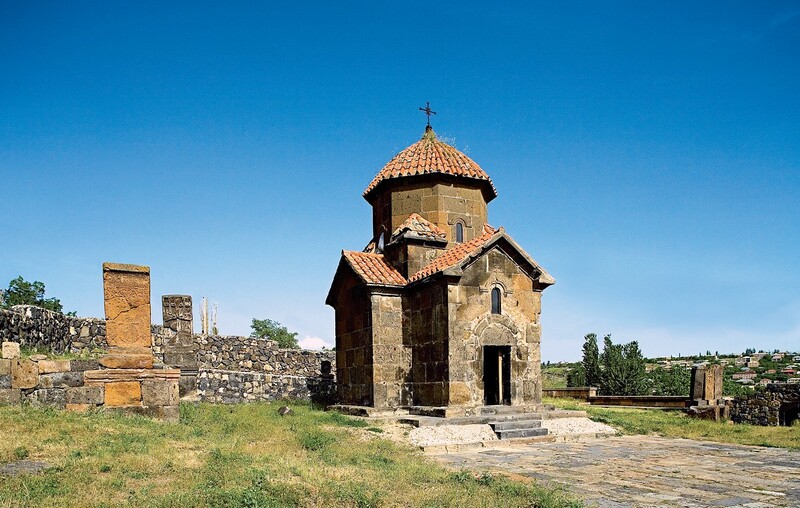 Visit UNESCO Heritage Sites St. Hripsime Church (7th cent) and ruins of the cathedral of Zvartnots (7th cent). Return to Yerevan. Lunch in a restaurant. 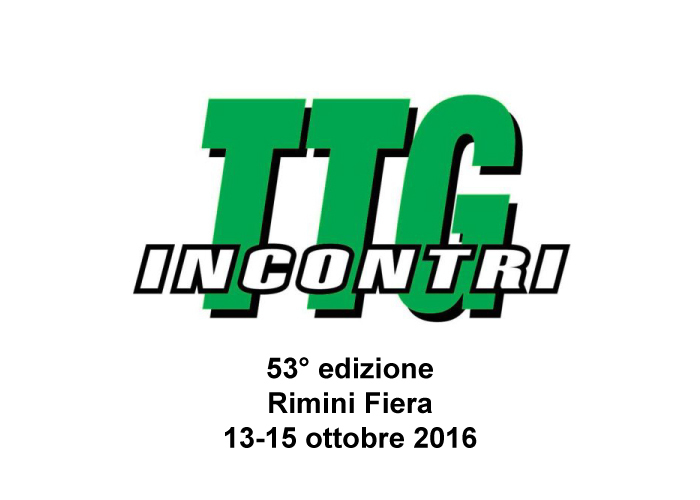 Afternoon free to explore Vernissage – an open-air art market open only at weekends. Dinner in a city restaurant. Overnight in Yerevan. After breakfast at hotel drive towards the south to visit the historic Monastery of Khor Virap (Deep Pit), an important pilgrimage site close to the Turkish border where St. Gregory the Illuminator has been imprisoned for 13 years before the official conversion of Armenia to Christianity in 301 A.D. From the monastery you can enjoy a breathtaking view of majestic snow-peaked Biblical Mount Ararat and the vast Ararat valley. 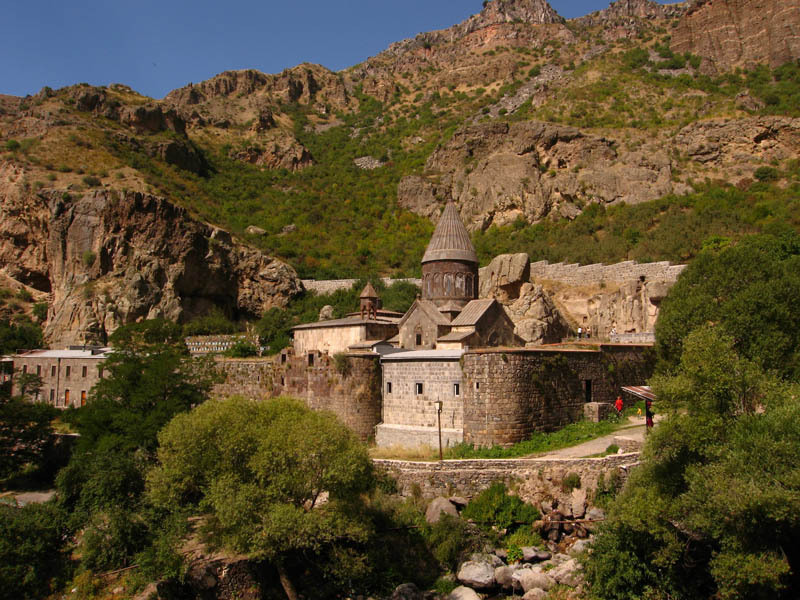 Continue to Vayots Dzor Region to visit Noravank Monastery – the jewel of medieval Armenian architecture set in a marvelous canyon and built in a perfect harmony with the surrounding nature. Lunch in a restaurant. 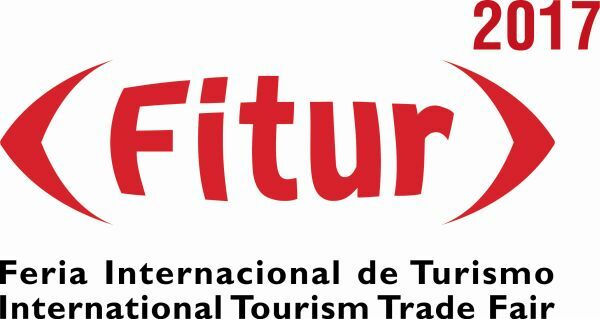 Continue the tour to the south of Armenia. In late afternoon stop at Karahunj/ Zorats – Qarer, one of the biggest and oldest astronomical observatories in the world dating back to the 5th millennium BC. Arrival in hotel in Goris. Dinner and overnight. Breakfast at hotel, check-out. Full day excursion driving first towards the Monastery of Tatev arriving there with the longest in the world ropeway (5700m). 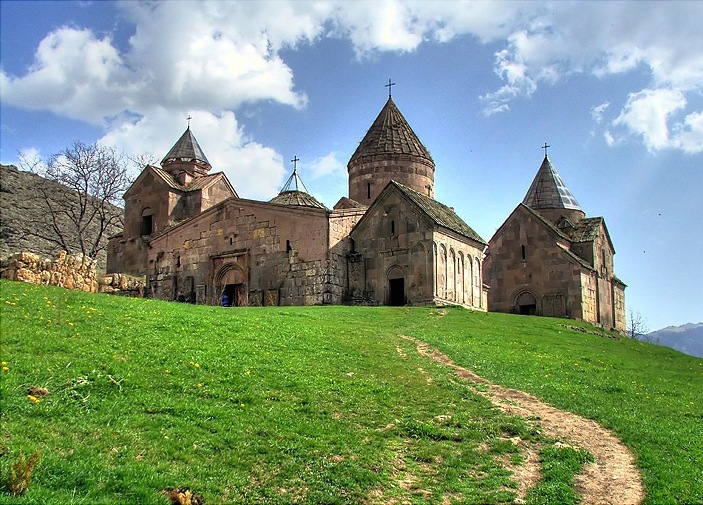 The Monastery is considered one of the biggest and longlasting monastic and cultural – educational complexes of Armenia set in a perfect natural context. Continuation of the tour towards the north – east of Armenia to Lake Sevan – the emerald of Armenia situated at 2000 meters above sea level, therefore considered one of the highest altitude lakes in the world. Lunch in a restaurant. En-route stop at the picturesque Selim Caravanserai built by Chesar Orbelyan in 1332. 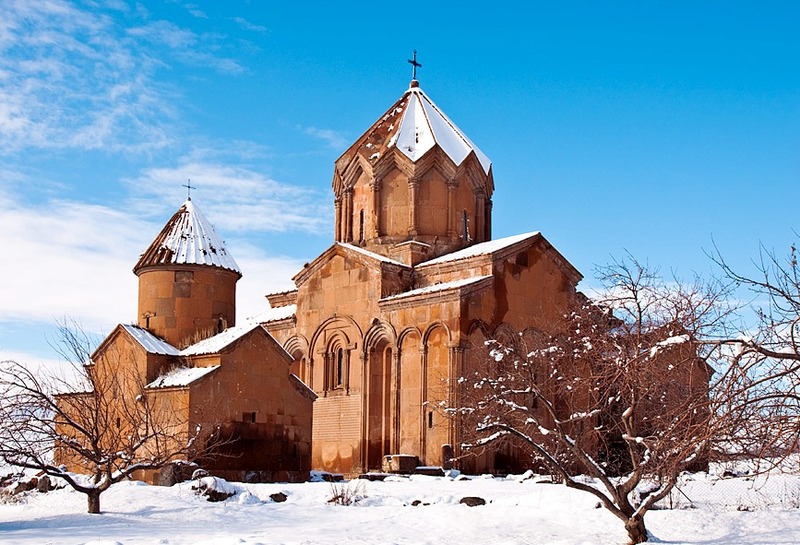 Continue the journey to visit Noraduz hosting the biggest collection of world famous Armenian khachkars (cross-stones). Arrival in hotel at Lake Sevan. Check-in, dinner and overnight in Sevan. Breakfast at hotel. Check-out. 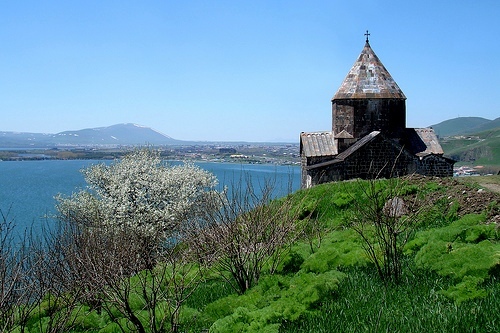 Visit to the 9th century Sevanavank Monastery on Sevan Peninsula (formerly an island) from where you get a nice view of the Lake. Departure for Tsaghkadzor, a famous resort town in Armenia, to visit the impressive and solid Monastery of Kecharis, built between 11-13th centuries. Lunch in a restaurant. After a short stop at the statue of Akhtamar, the tour will continue on to the beautiful mountainous and forested region of Dilijan and then on to the magnificent and impressive complexes of Goshavank and Haghartsin Monasteries (11-13th centuries) nestled in a temperate forest. In the late afternoon arrival in hotel in Dilijan, check-in, rest. Dinner and overnight in hotel in Dilijan. After breakfast at hotel drive to Lori region to visit some of the architectural masterpieces of medieval Armenia. 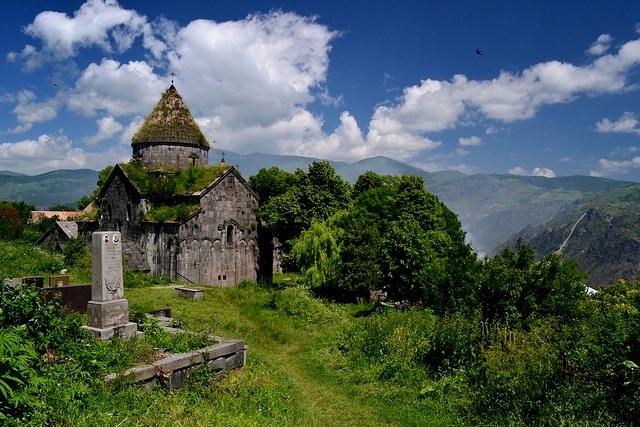 Visit to the Monasteries of Haghpat and Sanahin built between 10-13th centuries and set amidst forest-clad hills close to the town of Alaverdi, a small copper-mining town on the river Debed. The monuments are preserved by UNESCO and included in the World Heritage List. After lunch departure for Gyumri enjoying the beautiful landscapes changing completely from region to region. 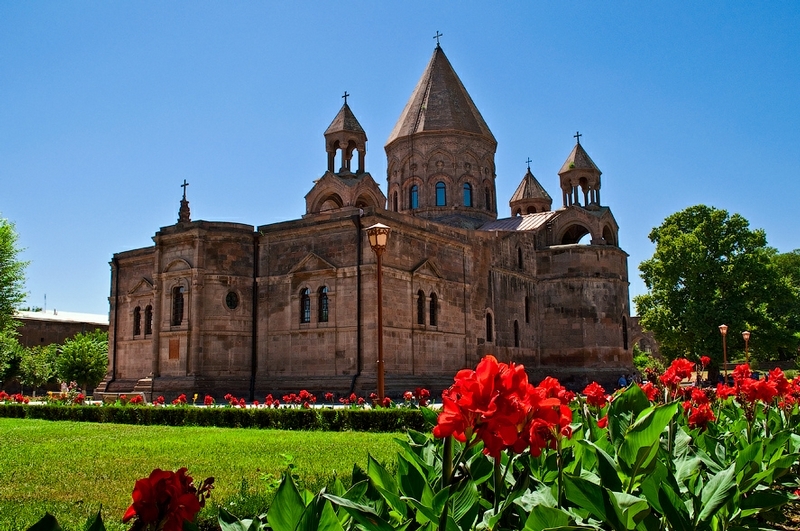 Gyumri is the second largest city of Armenia with nearly 200000 inhabitants. Unfortunately the city was terribly damaged by the devastating earthquake in 1988 and till now it’s going through a recovery and reconstruction process. Hotel check-in. Dinner and overnight in Gyumri. After breakfast hotel check out and departure for Marmashen monastery not very far from Gyumri, in the deep valley of Akhuryan river. The big monastic complex belongs to the famous Ani architectural school, making an impression with its apricot colour tuff stone. Return to Gyumri and after a short walking tour in the historical centre, visit the Ethnographic Museum of Gyumri. Lunch in a local restaurant. In the afternoon departure for Yerevan, en route visiting Talin Cathedral, considered one of the masterpieces of seventh century Armenian architecture. A short stop also at Aruch Caravanserai. In late afternoon arrival in Yerevan, hotel check-in. Dinner and overnight in Yerevan. After breakfast at hotel departure for Kotaik Region. 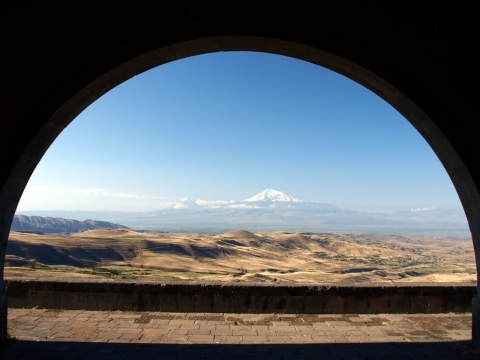 Stop at the Arch of Yeghishe Charents to have a bird-eye view of Mount Ararat and Yerevan city. Continue to bronze age Garni Village to visit the 1st century Pagan Temple of Garni located in a picturesque position and in perfect harmony with the pure nature. 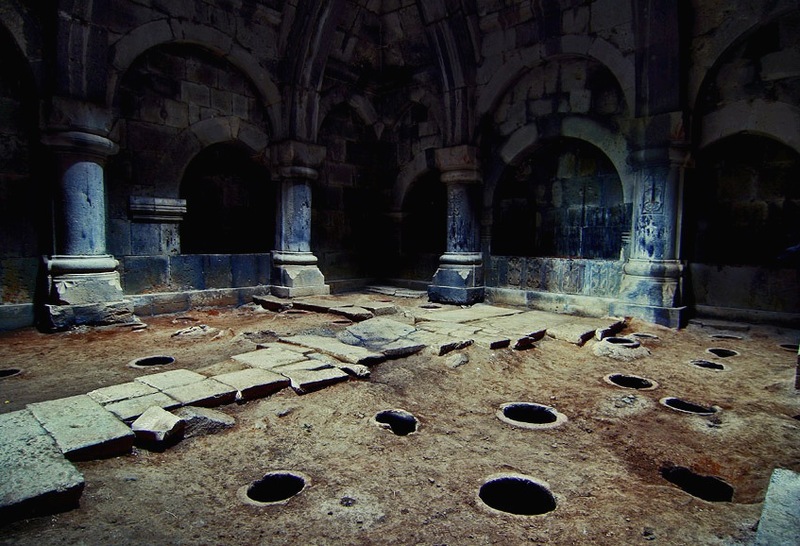 Then visit the UNESCO Heritage site Geghard Monastery (13th century) carved into solid rock. Lunch in the village with lavash (Armenian bread) bakers. Watching and assisting Armenian women bake lavash in tonir (well-stove) and tasting it with home-made cheese and herbs. Return to Yerevan. Visit Pak Shuka (fruit market). Good-bye dinner at a city restaurant. Overnight in Yerevan. Hotel check-out. Transfer to the airport. Flight to home country.